I'm not sure if it's fair for my first Grocery Aisle Challenge to make use of an item I definitely purchased in 2015, however, it was an item I'd never used but for which I was forming big plans. I didn't know that canned figs were an option, but I'm not going to kid you, I was excited to see that I could play around with this seemingly exotic fruit at my own convenience. I conducted numerous searches on Pinterest and Allrecipes until I had determined some of the best foods to pair with these sweet little morsels. Since I had originally purchased the canned figs in hopes of using them on a pizza I continued forth on that path of thinking and opted to create a pizza special which would feature what I had deemed would be the perfect combination of flavors to compliment these Kadota Figs canned in light syrup. The result? The Perfect FIGure. 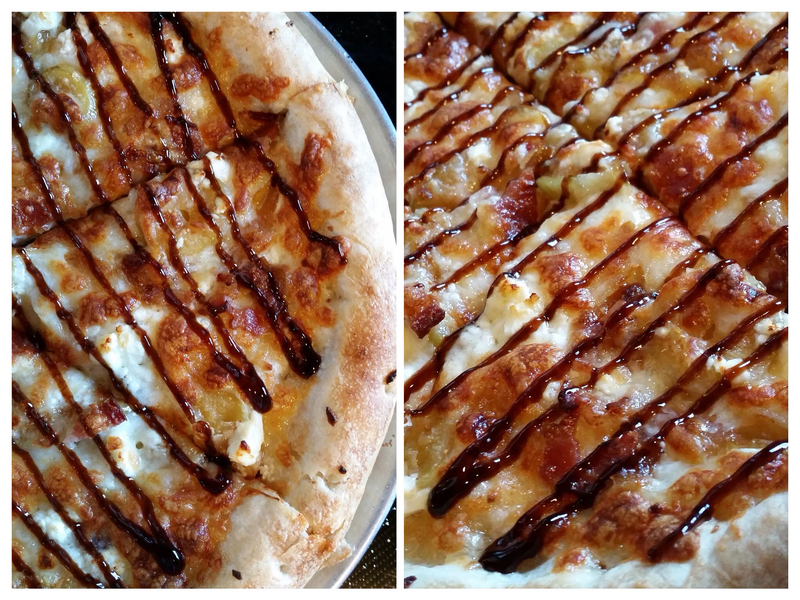 A pizza built on our signature garlic olive oil topped with a five-cheese blend, bacon, caramelized onion, feta cheese, sliced kadota fig and finished with a rich drizzle of balsamic glaze. 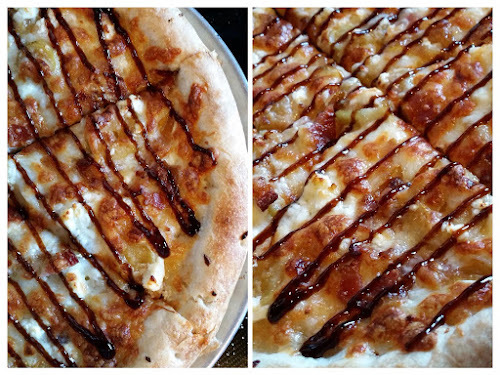 As we served this particular pizza for a week, I found myself comparing the creation to a super-gussied up version of the beloved Hawaiian style pizza - the sweetness of fruit, saltiness of cured meat and then all the gussiness of deep, rich, classy flavors - for me, it was absolutely impossible to go wrong! I've never been afraid to experiment with new recipes or ingredients, but it is definitely fun to go to the store with the distinct task of seeking out a new item to be used in a new recipe or a play on a classic recipe. My most recent trip had me gazing at the fresh herb section and lighting up upon seeing lemongrass in a convenient squeeze container...right in the middle of nowhere, Wyoming! Combine dry ingredients. Drizzle oil over dry mixture, cut in with pastry blender or fingers until it resembles coarse cornmeal. Store in gallon ziploc in refrigerator. Use for any number of things - some ideas can be found on this very blog! A change of tack……………time to come back!